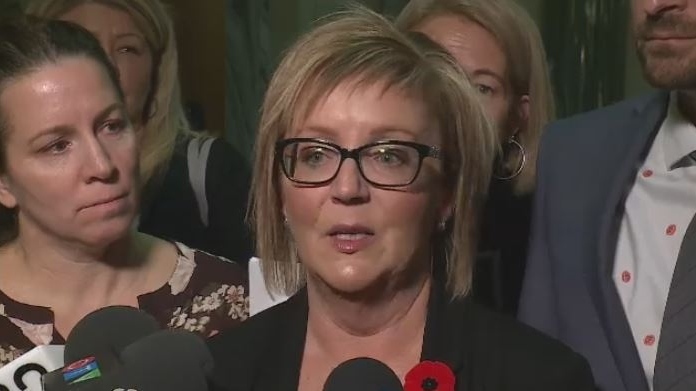 A mother, who lost her son to a Fentanyl overdose, was at the Saskatchewan Legislature on Thursday to advocate for more addiction and mental health resources. Jenny Churchill’s son Jordan was scheduled to attend the Moose Jaw Wakamow Detox Centre in October of 2017 but was turned away. She said Jordan was left on the streets for 56 hours, living behind garbage bins, before he was able to get back to Regina. Jenny is advocating over the concerns of lack of beds and services as well as the government’s plan to combat addictions. The government is saying they are working to improve addiction services, but it is something that takes time. “Depending on what you do, if you are adding addiction beds, these sorts of thing you can’t just do overnight,” said Minister of Health Jim Reiter. Reiter added that he couldn’t meet with the Churchill family earlier due to a human rights complaint, but he would now be willing to meet with them.